If you have cosmetic dental concerns, such as chips, gaps, discoloration, or “short” or uneven teeth, porcelain veneers can help to mask these issues with beautiful, lasting results. 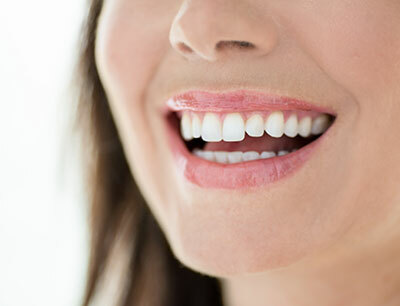 Our experienced cosmetic dentist offers many different types of dental veneers that can provide numerous benefits. If you’re considering porcelain veneers but want to know more about the cost and experience of this treatment, we have provided answers to many common questions. During your initial consultation, we can determine if dental veneers can help achieve the smile you’ve always wanted. I am in process of getting veneers. True dentistry is a great facility with quality staff in a professional and friendly environment. Dr. Joe W. is an amazing doctor. They have all the high tech equipment. I really like this office! Highly recommended. For more information or for questions not addressed here, please contact our office today. Our friendly and knowledgeable dental team can provide additional information or help you schedule a consultation. Porcelain veneers are customized to suit your dental needs and cosmetic goals. As a result, every treatment plan, including total cost, will be unique to the individual. The overall fee will vary based on the type of veneers used, the number of veneers required, your specific dental needs, and your insurance coverage. We will detail the cost of your personalized plan during your initial consultation. Your well-being is of primary concern. Depending on the type of porcelain veneers utilized to achieve your goals, there may be a small amount of tooth reshaping or reduction required. In this instance, we will provide a numbing agent to minimize pain, and most patients report little discomfort. Some veneers, including Lumineers®, Dura-Thin® Prepless Veneers, and composite veneers, typically require little to no drilling or reduction, typically making the procedure quicker and more pleasant. The procedure time will also depend on several considerations, including which type of dental veneers you choose. Some porcelain veneers will require two visits. The first one establishes the treatment plan and will require taking a mold of your teeth. The second places the dental veneers. Innovative veneer techniques, like Dura-Thin® Prepless Veneers, can be designed and placed in the same appointment. There are several factors that influence how long dental veneers will last, including the type of veneer used, your oral hygiene habits, and various environmental influences. We use the highest-quality materials known for their durability. In many cases, porcelain veneers can last as long as 10 years or more. Excellent oral hygiene is strongly recommended for everyone, regardless of whether they have porcelain veneers. Routine brushing and flossing can help maintain the beauty and function of your dental veneers for years to come. If porcelain veneers are outside your budget, composite veneers can be a more affordable option. In addition to dental veneers, there are many treatment options available to address cosmetic concerns. At True Dentistry, we offer teeth whitening, porcelain crowns, cosmetic bonding, Invisalign®, and many other procedures that can help you achieve the smile you’ve always desired. We will be happy to customize a plan that takes all of your needs into account. If you have additional questions, we encourage you to contact our office. Our dental team is available to answer any further questions or to help you schedule a consultation with one of our experienced dentists.